The Zigong Salt Making Industry History Museum is located in Zigong, Sichuan province. Known as “Millennium-old salt capital, Home of Dinosaur, Lantern city in the southland”, Zigong also has convenient transportation, which leads to Chengdu and Chongqing respectively 168km away and 204km away. The Zigong Salt Making Industry History Museum was proposed to be founded by Comrade Deng Xiaoping in 1958. 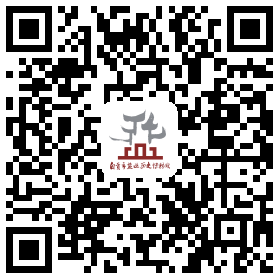 It is a professional museum to collect, research and display the historical relics of Chinese salt industry and one of the earliest founded professional museums in China. UNESCO quarterly magazine Museum once made a special introduction of the museum in 1980s. The museum has a big collection of precious cultural relics and documents as historical books, literatures, objects and tools, among which, the ancient tools used for well drilling and repairing are the only complete set of its kind well preserved in China. They reflect the great achievements of well drilling and repairing technology in more than two thousand years in China. They are the carriers of ancient Chinese civilization of science and technology. The large amount of such collections as culture relics, models, photos and samples displayed in the museum show the evolution and development of well salt production techniques in the fields of well construction, brine extraction and transportation and salt production. They also lively display the ancient well salt manufacturing process with deep well drilling as its core technique and embody the wisdom and creativity of the local people in the past dynasties. There are two thematic exhibitions in the museum——China History of Well Salt Science and Technology and The Exhibition of Zigong History of Salt Tax. Adopted new materials and advanced technology of sound, light and electricity, with many collections of precious cultural relics, samples and pictures, The History of Well Salt Science and Technology of China displays great achievements in the aspects of well drilling, brine extraction, salt production and gas exploration, representing the evolution and development of well salt production techniques, revealing the truth that the gas mining technology was originated in China. With rich contents, artistic design, high technology and realistic scene, The Exhibition of Salt Tax History of Zigong highlights the important events and talents in Sichuan province and even in the Chinese history and shows the fruits and contribution of salt tax. Zigong Salt Making Industry History Museum is housed in the Xiqin Guildhall, which was built in 1736, the first year of Emperor Qianlong Reign in Qing dynasty. The merchants from Shaanxi Province who made a fortune by building salt working sites and running salt business in Zigong constructed the architecture to show up their wealth and to treat their townsmen. The construction of Xiqin Guildhall was initiated in 1736 (the first year of Emperor Qianlong Reign), lasted 16 years and cost the raised silver (ancient currency of China) of 2500 kilograms. It was commonly known as Guandi Temple because a statue of God Guanyu was set for people to worship. The complex of Xiqin architectures is composed with a few of individual buildings combining the architectural styles of palace structures and dwelling houses both in the north and the south in Qing dynasty. It has a splendid exterior and exquisite internal structure and decoration, including many delicate stone and wooden carvings. It represents the highest level of architecture technologies of its age. As an important cultural relic of social development and salt history, Xiqin Guildhall played a significant role in the research of politics and economy, social life and the culture of well salt of Qing dynasty before the Opium war. Building is a three-dimensional painting, a silent poem and a historical sculpture. In the salt industry development history of Zigong, Xiqin Guildhall is a rare cultural relic and stunning treasure among ancient Chinese architectures. In the evolution of Chinese guildhalls, Xiqin Guildhall is of precious essence. Exquisite stone and wooden carvings are everywhere in the museum, providing great information for the study of the histories of ancient Chinese architecture, theatre, Sichuan opera, sculptures and paintings. Xiqin Guildhall was listed one of the major protected historical and cultural relics at the state level in January, 1988. 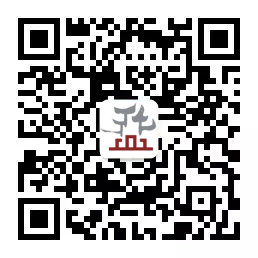 Address: 107, Jiefang Road, Ziliujing District, Zigong City, Sichuan Province, China, P.R.C. Reservation: Visitors can make reservation by phone (0813-2202083) in advance and get the tickets on the visiting day.